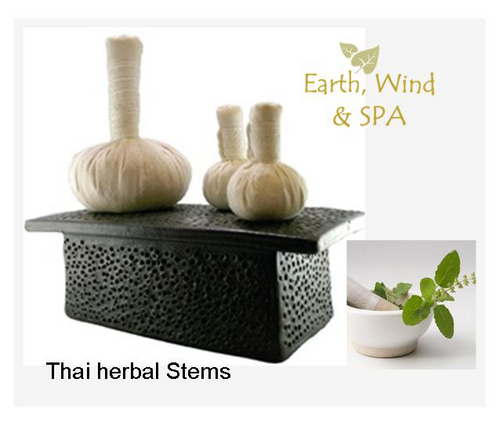 Earth, Wind & SPA offers this unique "Thai Herbal Stem Massage". A natural healing and therapeutic hot treatment combined with Swedish massage to relieve jet lag, insomnia, muscle ache, tensions, joint pains and to promote blood circulation. Warm, muslin wrapped-bundles of steamed 7 organic herbs are rubbed into knotty muscles to stimulate circulation. The beautiful aroma adds to the relaxing experience.